Founded in 1978, Handle Recruitment is a Job Agency in London, United Kingdom. 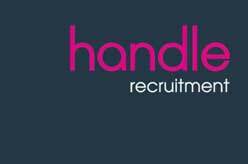 Handle are the recruitment partner to the biggest names in the media, retail, TV and entertainment industry. Recruits across multiple business disciplines including Digital, Sales & Marketing, Office Support, PR & Communications, Human Resources, Finance, Legal and Fashion/Retail. Recruitment Types : Temporary Recruitment, Contract Recruitment, Permanent Recruitment, Interim Recruitment and Executive Search. Recruitment Areas : Sales & Marketing Recruitment, Office Support Recruitment, PR & Communications Recruitment, Human Resources Recruitment, Finance Recruitment, Legal Recruitment, Digital/Technology Recruitment and Fashion/Retail Recruitment. London W1D 1NN, England, UK.